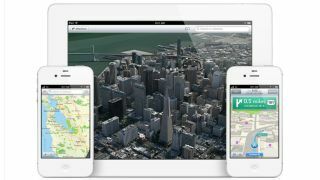 Apple has decided enough is enough when it comes to mobile maps and has announced its own map service for iOS 6. With its own maps, Apple is taking Google head on and from the looks of the features it is trying to match the search giant with every map feature. For a start, the maps has built its mapping system from the ground up, and it has revealed it is a worldwide effort so no country should be unmapped. Apple has announced that there's more than 100 million business listings for its apps, there's Yelp integration and there is also a traffic service built into the application. Traffic data is said to come from anonymous real-time users of the maps service and red bars will show when traffic slows down on the route you are taking. Oh, and it also has turn by turn navigation built into the app so your sat nav may well begin to gather dust. As it has done with the new iPad, Apple has added Siri into the Apple mix – with the AI voice telling your kids to calm down when they shout "are we nearly there yet". There's also a 3D flyover feature, quick rotating and zooming, and a satellite view. There's nothing here that's different to Google Maps, but Google is set to lose a massive chunk of its Maps users with the upgrade to iOS 6, and the loss of Google as the primary map system, and that's something that the search giant won't be happy about. But, you could always download the Google Maps app if you want to keep supporting them. iOS 6 is set to come to the iPad 2 and new iPad, iPhone 3GS and above and the iPod touch fourth gen.